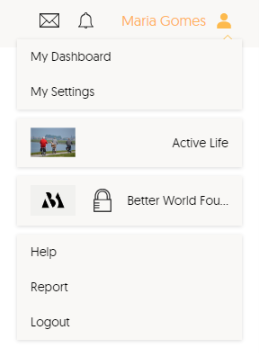 To access your private community, log in to wechangers.org and click on your name on the top right corner. Your private community will be identified with a lock sign, just like in the picture below. You can also access your private community directly through a link provided by the private community manager.